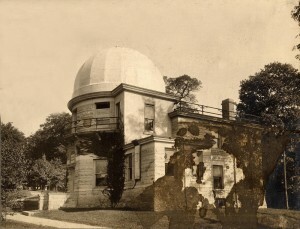 Today, the observatory stands next to the campus gates at 45th and Memorial Way. 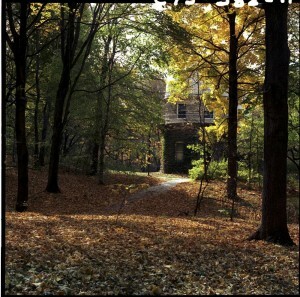 While this part of campus remained undeveloped until the 1950s, by the time I was a student at UW in the 1980s, the woods had mostly been lost to (well-lit) parking lots. 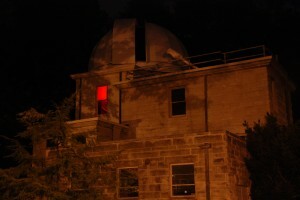 Possibly a few of the astronomy classes used the telescope for educational purposes until then, but mostly the observatory functioned for fifty years as a nice historical monument, the second oldest building on campus. 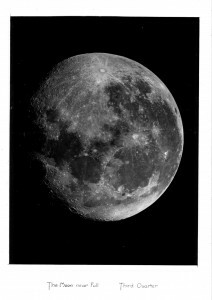 Fortunately, the telescope was refurbished in the 1990s and just ten years ago, the astronomy department began using the observatory in its public outreach program. 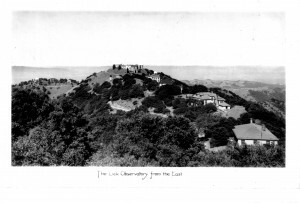 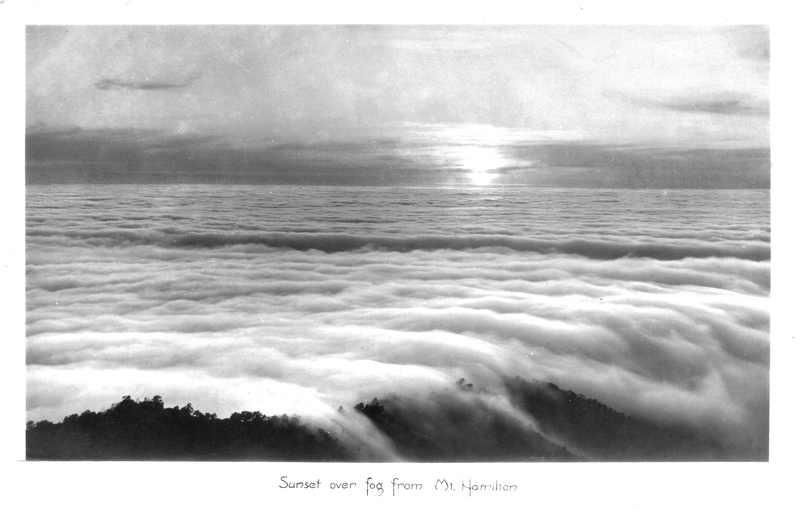 The early astronomy program at University Washington had strong ties with the work being done at Lick Observatory, east of St. Jose, CA. 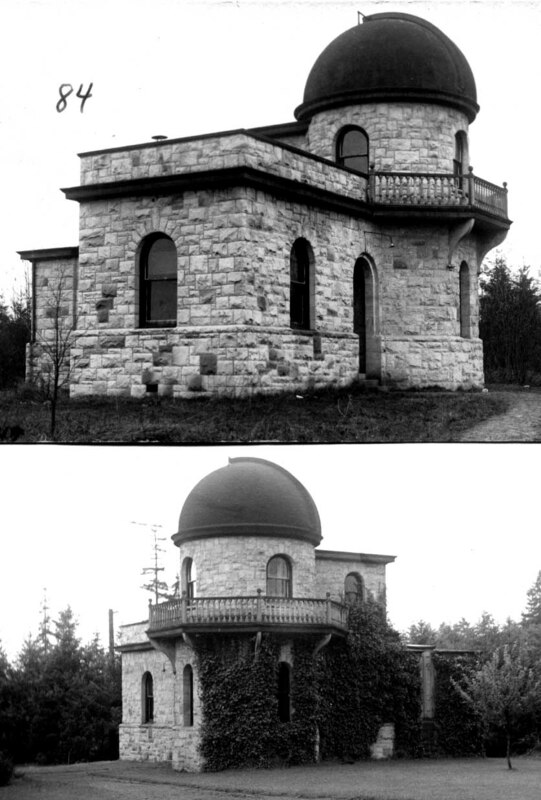 Mathematics professor Joseph M. Taylor studied at Lick as a “special student” in 1890 and returned to UW to found the astronomy department in 1891. 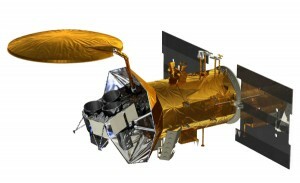 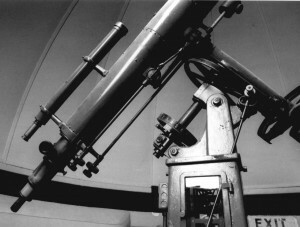 When the university moved from downtown Seattle to its present location, Taylor spent $3000 allocated to the department by the Regents on a 6″ refractor and a building in which to house it. 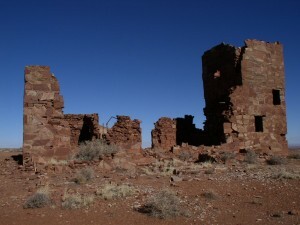 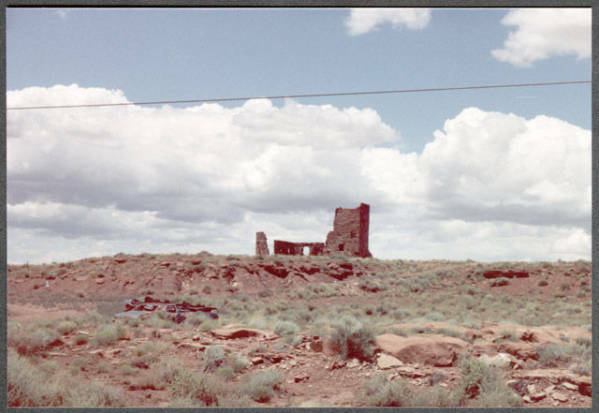 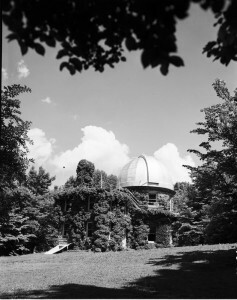 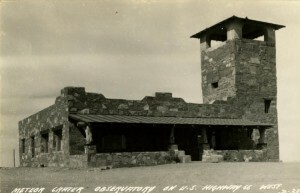 The original wood frame observatory stood for only three years before Taylor started looking for a more permanent structure. 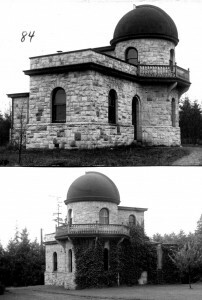 In 1895, he appropriated the stone and money left over from the construction of nearby Denny Hall and directed it toward the construction of the masonry observatory we see on campus today. 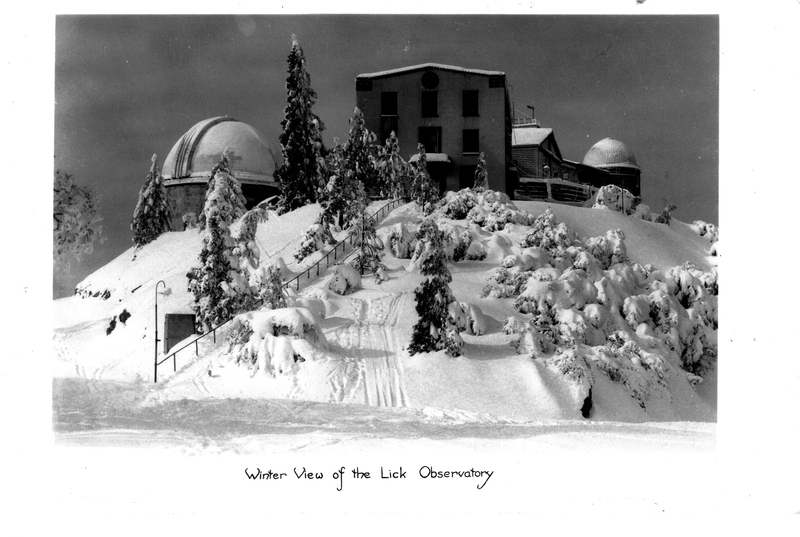 The observatory is named after a later professor of astronomy, Theodor S. Jacobsen, who began teaching at UW in 1928. 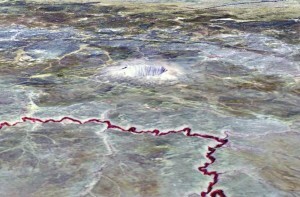 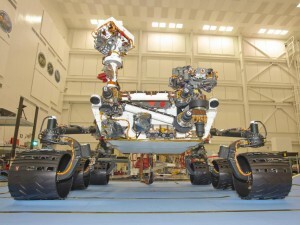 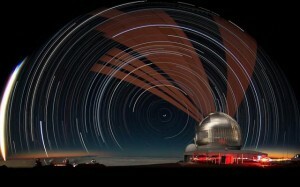 A graduate of UC-Berkeley, he worked as a Lick Observatory Fellow for two years after completing his Ph.D. 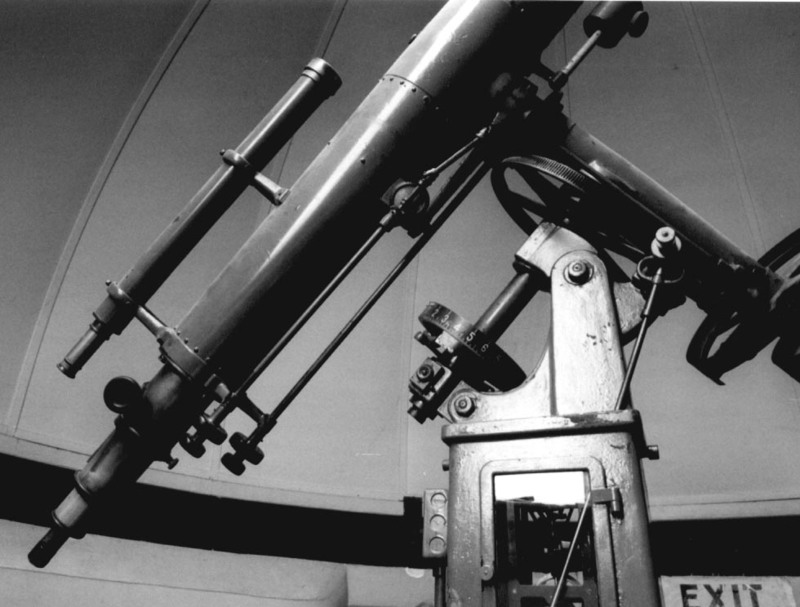 Allegedly, he hurt his back moving the Great Refractor one night and decided to pursue a less physically risky career, like teaching astronomy and mathematics (although he continued his research on variable stars, so I’m not so sure about that story). At any rate, Professor Jacobsen had a long career at the university and afterward: his last book came out in 1999, four years before his death at the age of 102. 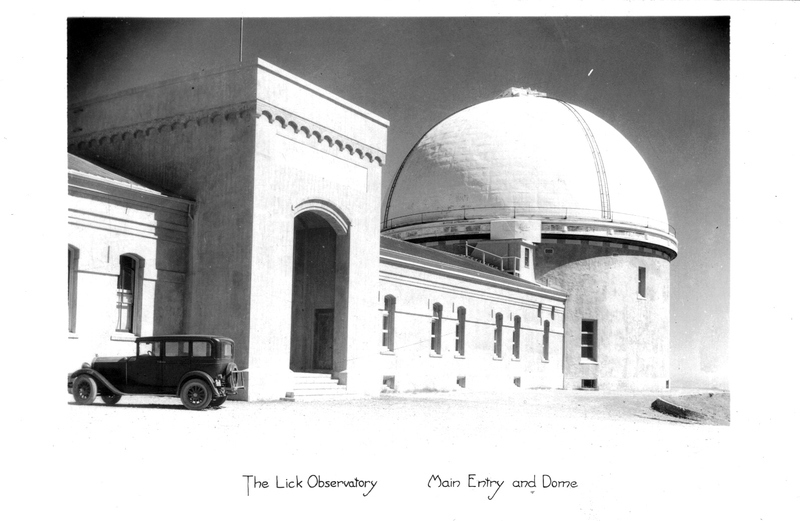 *If you’re counting, this makes the fifth Warner & Swasey telescope I’ve discussed recently; see the entries for the Lick, Kirkwood, Yerkes and University of Illinois observatories for the other four.